We manufacture the highest quality astronomy filters with durable, sputtered hard coatings using single substrates of the best glass, eliminating the need for laminations. All primary filter coatings are applied on the front surface and anti-reflection coatings on the rear surface to prevent ghosting and to maximize transmission. Highly precise and accurate, the passbands of these filters remain spectrally stable and do not drift in response to extreme temperature fluctuations or changes in humidity. All filters may be used with apertures of f/4 or smaller. We provide custom coating services for more demanding imaging applications requiring larger apertures such as f/3 or f/2. We also can provide larger sizes and unique passbands upon request. 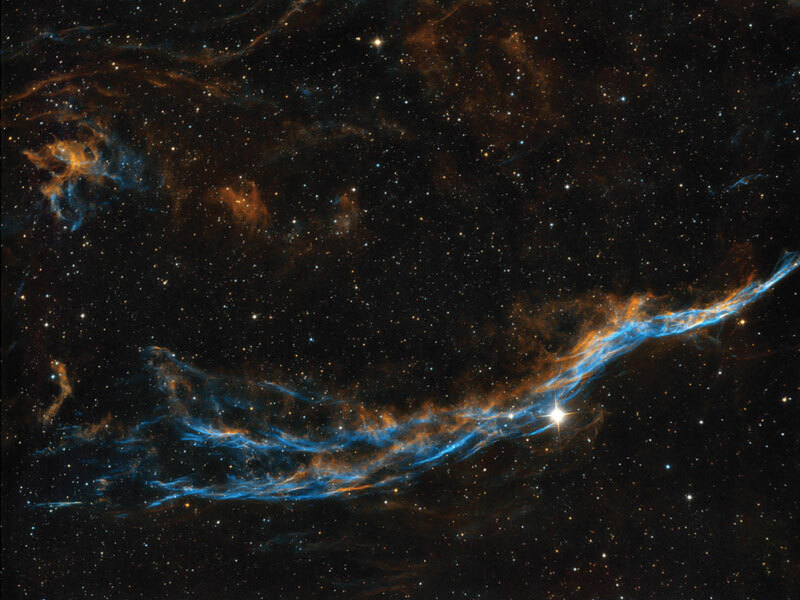 C 2177 is a region of nebulosity that lies along the border between the constellations Monoceros and Canis Major. SX-46 with and SX Maxi wheel from Starlight Xpress Ltd. format array of 27 x 21.6 mm, 6uM square pixels. Newtonian telescope at 1330mm. The second setup was a SX 816 and Vixen VSD refractor. The large dark nebula that makes up this "gaping mouth" is a molecular cloud made up predominantly of molecular hydrogen, but also dust and other gases. New generations of solar systems are being forged within its cold interior. Once these young stars’ fusion engines switch on, they will irradiate their surroundings–heating up, ionizing and eroding away the remaining dark material from which they formed. 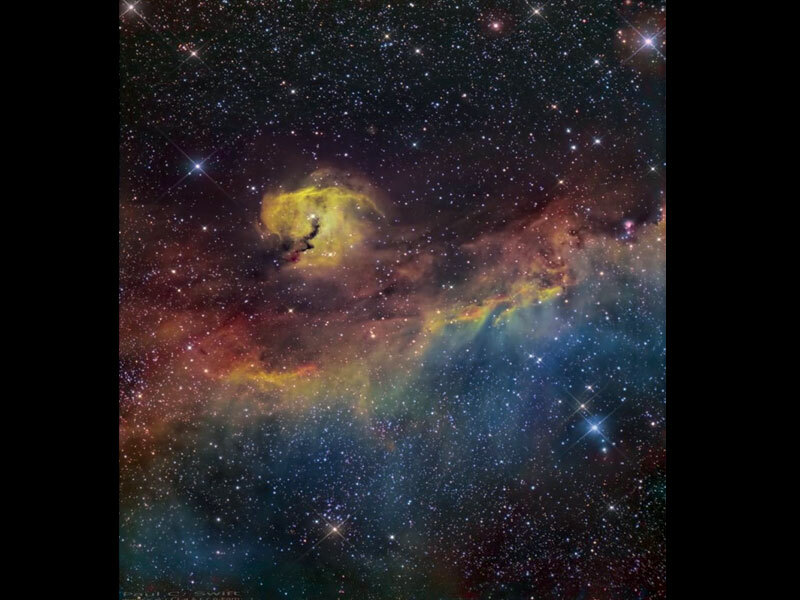 Originally the whole Pac-Man nebula would have been one large dark molecular cloud. 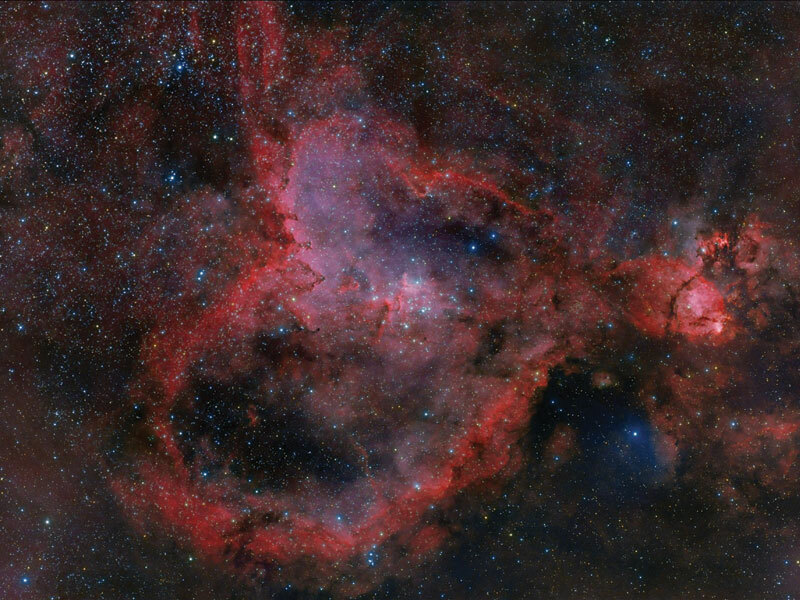 The stars that formed early on at its centre have progressively hollowed out the centre of the nebula. 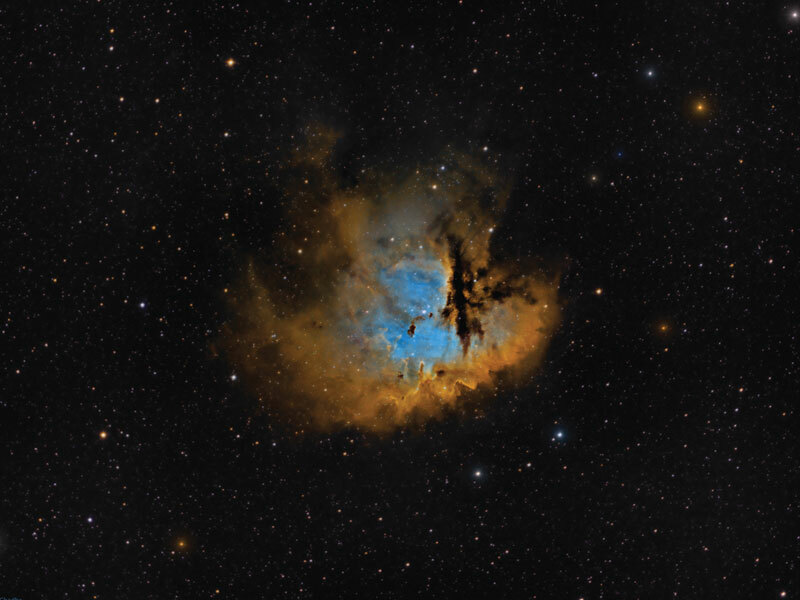 The gas in and around this central region is ionized by the copious UV radiation emitted by the central open star cluster (IC 1490), causing it to glow and provide the light by which this narrowband image was taken. H-beta filters are also useful for imaging nebulae and objects rich in ionized hydrogen. At 486.1nm, a narrow-band filter is required to separate H-beta from nearby blue and green spectral lines. Although weaker than the H-alpha line, this is often used for visual detection as the longer red wavelengths of H-alpha are difficult to detect by eye. SII filters isolate the spectral emission of singly ionized sulfur atoms, also common in nebulae. Emission is at two lines occurring as a doublet, at 671.6 and 673.1 nm. This filter also separates sulfur emission from H-alpha emission (656.3nm). Methane absorption band filter. This filter enhances contrast when imaging objects containing significant levels of methane. Methane-rich components, such as in the atmosphere of the Jovian planets, will appear darker. Blocks common spectral lines from lighting sources. This filter provides balanced color for the visible spectrum while blocking most emission from metal-halide and vapor lamp sources which together contribute to sky glow.